You’ve been hounding me to make a hair appointment, begging me to go shopping for clothes, and basically all around urging me to take care of my own self for a change. It’s nice. I don’t feel so bad when I come home with a new pair of shoes that begged to be taken home with me while I was making a very glamorous diaper run at Target. I know you don’t think any of those things, of course. And I don’t scold you when you gently ask me about it (I don’t think, at least). I try to remind you it’s not as easy to take care of myself as it used to be before kids were around. I am so out of the loop on what’s actually in style these days because I don’t really have time to pay much attention. But that distinct mom style I’ve unintentionally been sporting lately has finally gotten the best of me–and you too, I think. Today I was thinking about all this as I stirred together tuna salad for lunch. Both Mia and Emery were zonked out at an early nap time, leaving me a few minutes to think about my own thoughts for a change. This tuna salad is really simple, quite uncomplicated and easy to throw together, but full of a few surprises that give it texture, interest and beauty. I got to thinking: that is exactly what I need in my style-life. I’m not exactly sure how to get there, but for me to have that much time to even think about what I’m looking for? Kinda huge. It is HARD to put myself first, to spend money on myself, and to reject the guilt and self-loathing I hear whispering behind my back as I try pretty things on again. But please believe me: I am trying. 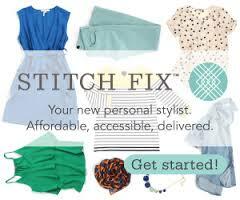 I haven’t scheduled a hair appointment yet (that’s next on my agenda today), but I did do one small thing for myself this week: I decided to give Stitch Fix another try, and I filled out a profile for Trunk Club (thanks to a friend who swears by at-home styling services), and I’m hoping it helps. Plus, you can give me your honest opinion about what you like and what you don’t like, all without dragging you around town with me. This is my go-to lunch, one I make so often I could do it with my eyes closed. I make it with Greek yogurt when Emery isn’t around, but I use low fat mayonnaise instead if he is awake (because his little fingers often get a hold of whatever I happen to be eating). If curry powder scares you: worry not. You can leave it out. But I challenge you to try it because it’s really quite subtle and dresses up the salad just enough to make it a little bit fancy. Start with 1/4 teaspoon, and work your way up. First, drain the tuna and dump it into a medium size bowl with plenty of room to mix well. Next, pile in all the other ingredients (except the almonds) and stir until well combined. Taste to adjust seasonings, then mound it on a pretty plate and sprinkle with toasted almonds.